Summer vacation should be a three-month break from the stresses and hard work of the school year. However, these days children often have summer homework or reading to do in preparation for the new school year. Research shows that the “summer slide,” where the summer holidays cause a backslide in reading and school skills, is real, as this video demonstrates. But instead of focusing on doing more school work this summer, try thinking of summer as an opportunity for your children to do some non-traditional learning outside of the classroom. 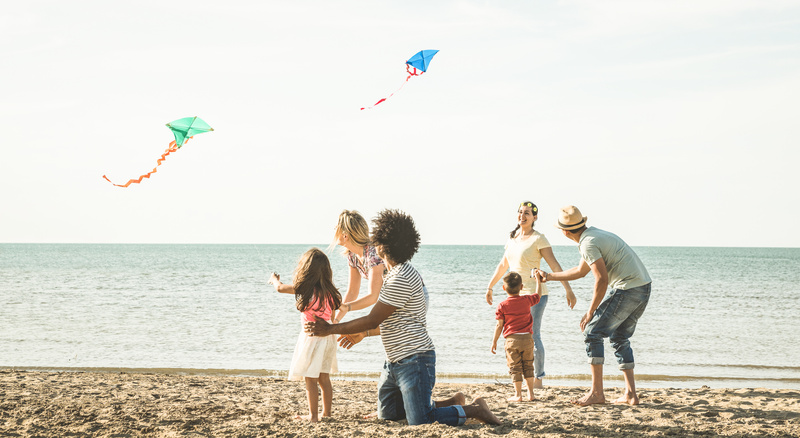 Here are 10 examples to get you and your family started this summer. Take advantage of kid-friendly or free days at nearby cultural institutions like museums and art galleries.There are also popular children’s programs at orchestras or movie nights in local parks. Your local newspaper should have information about when to find these events. Let your child read the books they want to read, not just school books or classic, educational ones. Comic books, science fiction, romance, as long as they are engaged with reading. This summer is the time to build a love of reading that will outlast school and assignments. Encourage your child to make a creative project that is all their own. House and office supplies can become art, a living room can become a stage, and any phone can create a movie. These creative projects expand your child’s imagination and help them discover new interests. Visit one of the many national and state parks that America has to offer. You might be surprised by how close these places are to cities and your home. Many national parks have children’s programs to teach them about nature, history, and the great outdoors. Try to emphasize outdoors activity, especially if your child tends to stay indoors. Summertime is the best weather for swimming, walking, and exploring. Nature is the best teacher we have — learn about plants and animals together. Grow something from scratch. Herbs are a good starter plant, as they are small, usually like sunlight, and can keep well in pots. It is a great experience for children to touch soil, grow something with their own hands, and eat the final results. Attend local events, shop at local stores, find the nearest fresh food market, cheer on the local July 4th parade. There are often many fun activities to do just within the boundaries of your own neighborhood. Show your child that their community matters. For older children, summer is a good time to volunteer and meet new people they might not get to meet during the school year, like members of the elderly community. 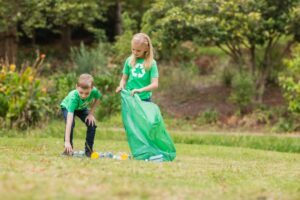 If there’s a place where your child’s natural interests would fit into an existing community program, encourage them to give their time and learn about other people. Do something special together. Summer is the time to try something extraordinary and memorable, something new. It doesn’t have to be an expensive trip to Disneyland, or new toys, but spend as much quality time with your children if you can. There are only so many summer holidays before children grow up. Create a scrapbook or video about the summer to document all the things your child did, both as an individual and with the whole family. Use any pictures and videos, ticket stubs and receipts, to tell the story of your summer. This will be something to keep for years to come.